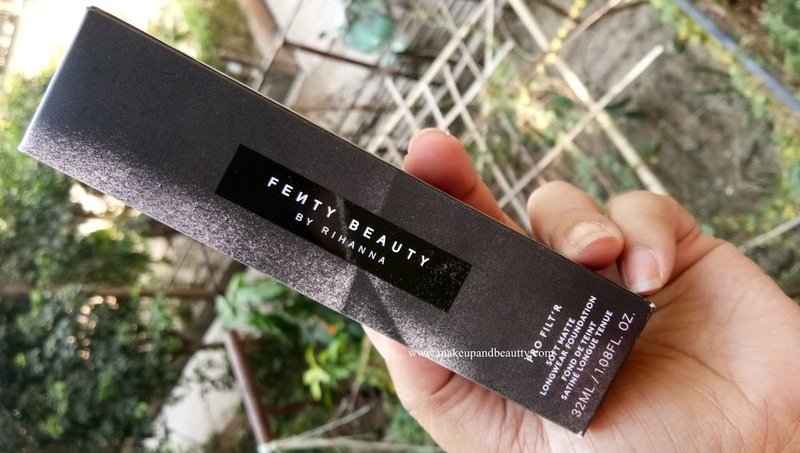 Finally, I am up with my series of reviews of a new brand "FENTY BEAUTY" by Rihanna on my blog. A brand created by Rihanna needs no introduction that how much luxe it can be. Today I am up with FENTY BEAUTY PRO FILT'R Soft Matte Longwear Foundation. Instagram seller price:- Rs.3300/- - Rs.3400/- approx. Not available in India (had to buy from Instagram sellers). A soft matte, long wear foundation with buildable, medium to full coverage, in a boundary-breaking range of 40 shades. Finally — the ultimate photo filter in foundation form. Born in 40 boundary-breaking shades, Pro Filt'r Soft Matte Longwear Foundation gives skin an instantly smooth, pore-diffused, shine-free finish that easily builds to medium to full coverage. The oil-free formula is made with climate-adaptive technology that's resistant to sweat and humidity, and won't clog pores so that wherever you are, it's going to work on. We figured out that it takes the right balance of tone and texture to make foundation work on every skin type. We obsessed over custom pigment levels to capture your truest tones with a soft matte finish that’s just right—not too matte and not too shiny. The result? A comfortable long wear formula that lets skin look like skin. Made for all women to love. For medium, customizable coverage: Apply 1 pump of Pro Filt’r Foundation to the back of your hand. Using a damp Precision Makeup Sponge 100, begin applying the product at the center of your face, or wherever coverage is desired, pressing foundation into the skin and blending outward. For fuller coverage, add another pump. RIHANNA’S WAY: For the ultimate pore coverage, press brush into the skin, roll off, and repeat. 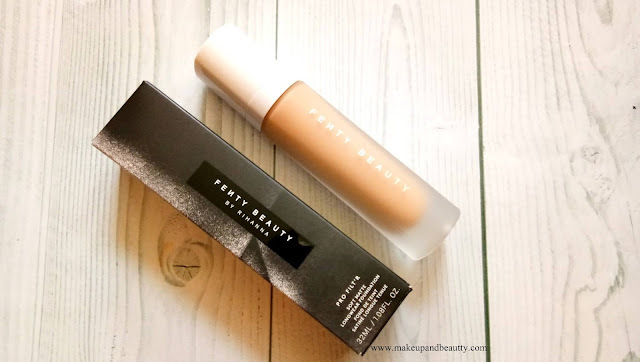 FENTY BEAUTY PRO FILT'R Soft Matte Longwear Foundation comes in a glass bottle. One can see the shades from outside. It comes with a pump thus it is easy to carry and use and hassle-free. Well, I am a person who hardly changes foundation in makeup routine. If I like any foundation I prefer to stick to it only. But FENTY BEAUTY PRO FILT'R Soft Matte Long wear Foundation actually tempts me to try it when it launched as many makeup lovers were swearing by this product. So I grab this foundation. The foundation is lightweight in texture. 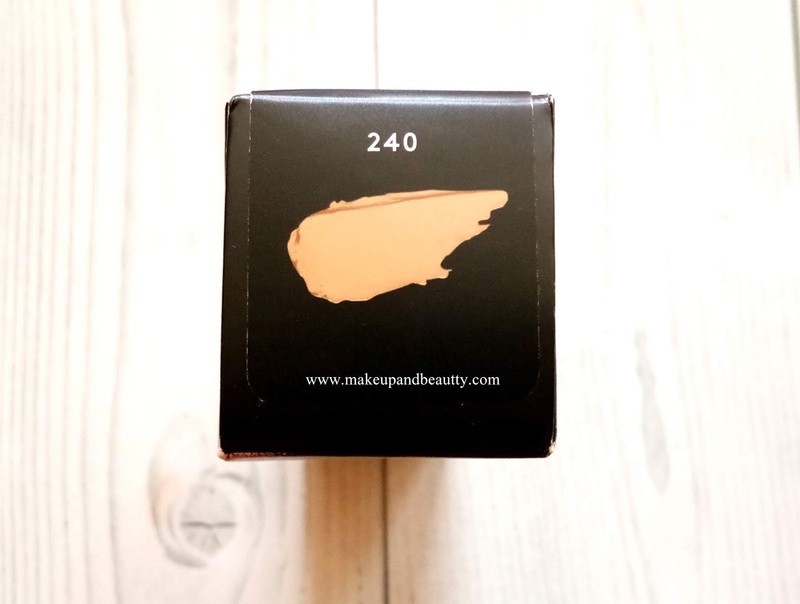 The shade 240 is a bang on match to my skin (I am Mac NC 30-35). The foundation is a matte one so it goes perfectly on oily skin beauties. Dry skin people might feel this foundation bit dry on their skin. The foundation gives medium coverage which is buildable. One need a concealer additional only to hide extreme dark circles or scar or any acne marks else the foundation is good enough to cover all light acne and pimple marks on my skin. The foundation is so lightweight that although if you layer it you won't feel anything heavy on your face. It will give you a flawless, smoothed effects. 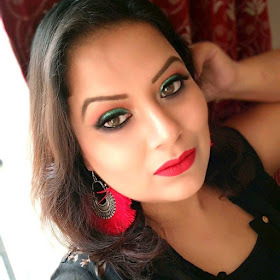 The foundation stays 8-9 hours on my skin with little(10%) of fading in sweaty summers. 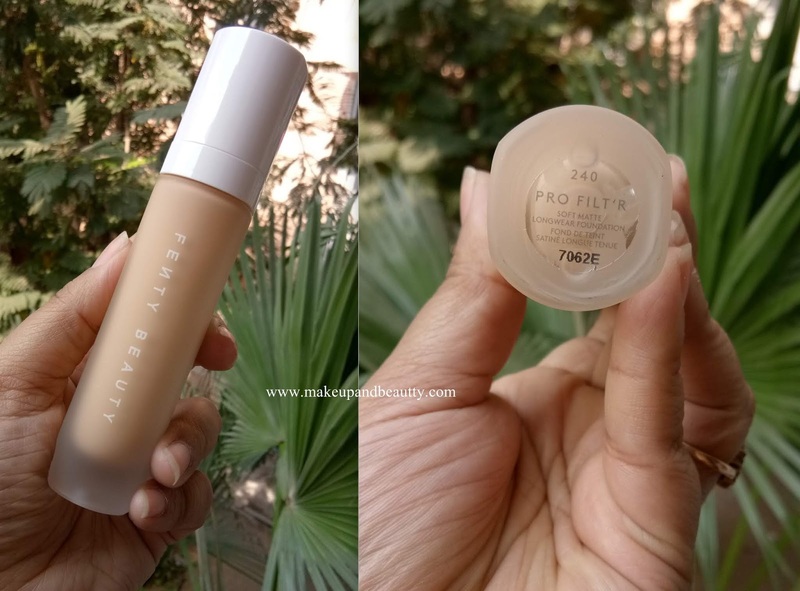 Overall FENTY BEAUTY PRO FILT'R Soft Matte Longwear Foundation is actually a better version of MAC STUDIO FIX PLUS LIQUID FOUNDATION (if that gives you a clear idea regarding this foundation).